What Children’s Ministers Wish Their Volunteers Would Do! I have been a volunteer in children’s ministries for most of my life. It wasn’t until this past January that I became a volunteer after having been a full-time children’s minister. I have to admit, it was somewhat challenging but I welcomed the chance to do all the things I have been hoping my own volunteers would do for the last four years. How easily we forget the difficulties that volunteers have. This afternoon I met up with another volunteer who is considering joining me in teaching the 2nd & 3rd graders this school year. We had an excellent discussion and I was flattered by some of his comments. As a children’s minister turned volunteer I reflected on things that most children’s ministers wished volunteers knew. These are a few things that, though they try to communicate, often get lost in translation. TRULY know how thankful they are. A banquet, thank-you note, or Sunday morning donuts don’t do it justice. Give them a boost from time to time. Its hard work. Period. 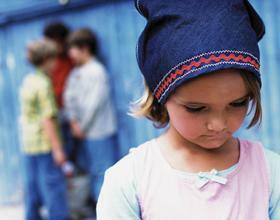 Sadly, many parents hand off the spiritual upbringing of their kids to the church staff. Children’s ministers have to walk the tight-rope of wanting to meet a spiritual need while at the same time handing the responsibility back to the parents. Don’t forget to share your appreciation of them with the senior pastor! Take a break. My children’s minister friends may not want to admit this but they really do. If you are a FANTASTIC volunteer (if you are not on staff and have read this far, you qualify!) they want you for the long haul. Do yourself and the ministry a favor and let the Lord fill your cup to overflowing. The overflow is where our service ought to come from. Hype it up! Children’s ministry really is the most exciting ministry of the church. We have an incredible chance to shape kids when they are the most receptive! The ministers rely on volunteers to keep the momentum going and spread the excitement! Invite and mentor others. As a volunteer you are the best billboard for the ministry as well as the best way for newbies to receive on-the-spot equipping. Tap someone on the shoulder and ask them to sit in. Tell your children’s minister that you would be willing to be paired with someone to share the wealth of knowledge and experience you’ve gained while serving. Communicate with parents! This is a biggie. The parents might have more weekly interaction with you as their child’s teacher than with the children’s minister. You have the ability to get a pulse on the child’s home life, pass on ministry information to parents and give them cues to apply the lesson between Sundays better than anyone. Children’s ministers really are standing on the shoulders of their volunteers. They don’t want to take this for granted. Every now and then as a volunteer you might feel that you are being asked to do too much. This might be the case. Or… it might be that you are the good and faithful servant who is being trusted with the talents (Matthew 25:14-30). This is an honor the master bestows on the ones that he trusts. What are some things you’ve noticed your children’s minister really loves to see in their volunteers? 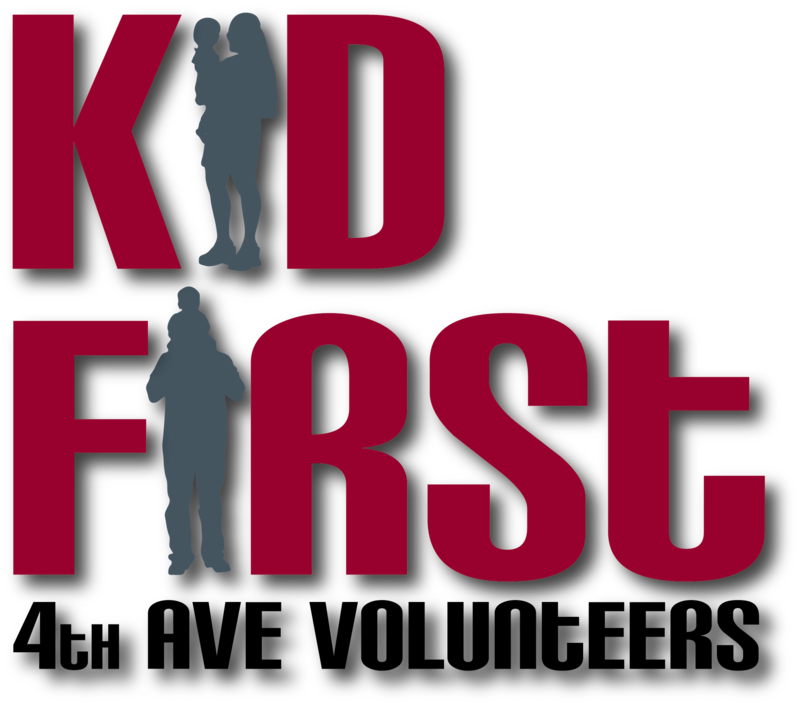 Helping Kids Make the Right Choice – Even when it’s difficult. I received an email from a parent the other day. He posed an interesting question. I sent him a reply and let him know I would blog about it to see if anyone else had some thoughts. Here is his email with a revised version of my reply underneath. Let me know your thoughts! Saturday we’ve been invited to attend the circus. It’s free for us and anybody we want to bring. Even the snacks are free. I challenged my kids to invite somebody who has parents who either don’t have the means to take them or the desire to take them. Somebody different from their normal friends. My son says “at church they always tell us to ‘find that person at school who doesn’t have a friend and be their friend’, but then they are always wanting to hang around me because they’ve got no other friends and that’s annoying”. We talked about how maybe there’s a reason why they don’t have friends and it’s because they aren’t very good to be around. My answer was “hang in there buddy and keep trying”, but I don’t feel good about that answer. As an adult I do the same thing. There are people I like more than others, phone calls I don’t take, and situations I avoid because someone is there who will make fun of me or belittle me or will be gossiping and I don’t want any part of it. Just thinking. There may not be a good answer, but as a family ministry maybe we need to provide a solution to what we’re asking our kids to do. I t seems that the situation centers around a disconnect between the heart that wants to follow Christ and obedience to where that will lead. Its obvious from this situation that their hearts desire Christ and to follow him. This is hard when we have to make unpopular decisions. They are at an age (and it will only get more difficult) where you cannot force them to make the right decisions. Pushing them to invite a friend would be counter productive and not really get at the real issue. I think when it comes to getting your kids to make the right decisions, you always have to start with the heart. A good but difficult question to ask is, “What’s going on in your heart that makes this decision difficult?” Keep the focus on their heart and the tension they feel between right and wrong. Dont let them place the responsibility of their decisions on the “annoying” kid or the friends that will make fun. In the end, you may just end up acknowledging how difficult it is to do the right thing, pray with them and let them choose. It’s ok to lose the battle of behavior since winning the war for the heart is what matters most. Now, your turn. How would you reply to this parent? They may be reading this post so lets collaborate on some great ideas! Last week I posted Part 1 of the volunteer strategy I have begun to implement at 4th Avenue. Part 2 was mostly in place already but now with every volunteer position mapped out and role description created, the fun begins. Getting people invited into a position which will grow their strengths in ways that will both allow them to move into their next level of leadership as well as help children to follow Jesus. Part 2 has two steps. (Remember, I am trying to think small!) Step 1 – Apply, Step 2 – Get connected. I researched a number of different volunteer applications before arriving at a revised version of Jim Wideman’s. I decided that if we were going to go through the trouble of asking volunteers to take the time to do this, it ought to be thorough. The application includes, personal contact information, desired ministry involvement, personal history (more on this below), church history, reference forms, background check, and a section for them to describe their spiritual journey. We have met some resistance from individuals as to why this is all necessary. I decided to write Volunteer Approval Letter that would be handed out to anyone who applied. I plan to revise a copy of it to serve as an explanation for those who have doubts in hopes that it will alleviate their concern. The “personal history” section invites the applicant to go into detail about a lot of personal details including history of psychotic disorder, drug/alcohol abuse, criminal history, etc. In the form we provide a place for the applicant to indicate if they would prefer to discuss the sensitive responses in person as well as to describe the measures they have taken to limit the negative impact of their past in their daily life (counseling, etc.). We feel knowing these things is important because a history that has not been addressed adequately could put a child at risk. Since the form is somewhat lengthy, we use a web service called Formsite. When volunteers enter application web address, they are encouraged to create a username/password so if they leave the form they can return with their data saved. As they complete the sections mentioned above, their information is stored on the website’s secure server. Once they click “submit” I am emailed a copy of the completed form. I create a file for each volunteer and store their information. Since they have completed within the form a section on references, each reference they have listed (name, relationship, and email address) is automatically sent a link via email to another form I have created specifically for references. The reference completes the short form, clicks submit and the form is automatically emailed to me. The background check information is sent to our administrative assistant to enters it into our background check service and she gives me a copy of the results. I feel it is a very smooth process and have not experienced any kinks in it as of yet. Step 2 of the process will need to include some sort of spiritual giftedness or strengths finder tool for all our volunteers. I am thinking this may be something that will need to be implemented later but I may do some beta testing on my leadership group. Today I completed a major piece of the puzzle for the Kid Ministry strategy at 4th Avenue. Every children’s minister I have ever talked to has lamented over the volunteer situation. Occasionally you will hear an incredibly enthusiastic speaker at a conference who seems to have it all together with no volunteer recruiting issues at all. I often will sit back and wonder how do I get from where I am at now to where they are calling me? My typical response is to grieve for a while then try to formulate some grandiose idea that will revolutionize the volunteer work force at my church. This is usually short-lived as I soon realize I have bit off more than I can chew. My biggest personal hindrance as a minister is that I have a hard time thinking in steps. I try to swallow the elephant in one giant chomp, instead of little bites at a time. This is why I feel like I have accomplished something major in the last week or so. We had a strategy for how to reach the children, now we have a volunteer map that identifies who is needed to accomplish it. As I have shared this project with some of my kid minister peers, most of them have asked if I have a policies and procedures manual. My response has been that it does not make any sense for me to have something like that if I do not know the scope of people that will be relying on it. 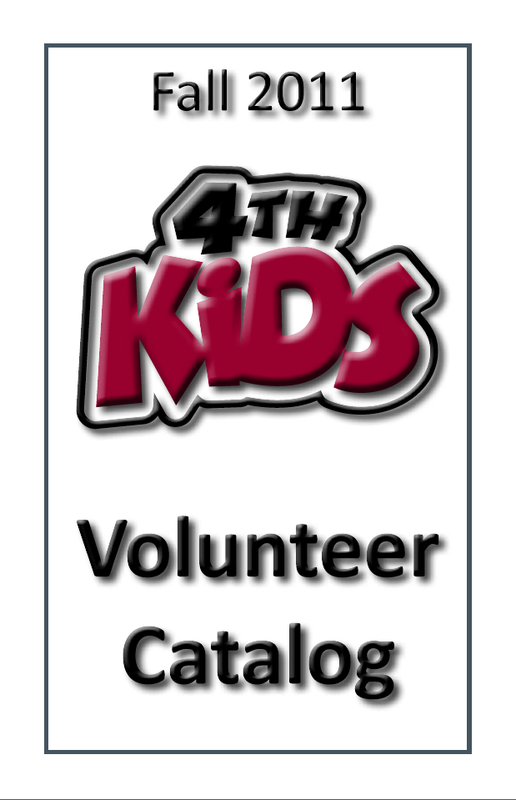 The volunteer catalog and chart are pieces that will help to comprise the manual. Thinking in steps. The next big piece is helping the volunteers we invite into the ministry to align themselves with the vision and complete our application process. Another huge step. What does a VBS program that is Outreach Oriented look like? To invest the time, volunteers and financial resources into an event and not be intentional about reaching out is poor stewardship. When discussing reaching the community, I am not talking about people that dont go to our church. I’m talking about people that dont go to ANY church – but more importanty people who would not even acknowledge the name of Jesus. What does outreach look like for THESE people. How do we have to tweak the events we do – not just VBS – if our hope is to have a voice among the noise in their lives? In the grand scheme of things, I know that inviting people into anything happening in our building is not the best way to reach the lost. The Field of Dreams whisper “If you build it, they will come” does not make for a good evangelism slogan. But if we plan a event, we ought to think about how it is going to be perceived/received by the community. So how do we ensure that we are doing our best to be Outreach Oriented? Unless a non-christian has already begun their search for Jesus, an invitation to go to school for vacation and study the Bible is not going to be very appealing. I pass by nearly 20 churches on my way to work (that’s Nashville for you). Nearly all of them do a VBS and half of them put out signs. Would it catch your eye if after passing 10 banners for VBS a church had something catchy in ther lawn advertizing an event called something else? What if the event had a theme that could not be identified on any other banner in town? This does not mean the curriculum has to be written in house. I know that some of the major publishing companies come up some pretty “original” stuff. Who ever heard of using a crocodile and a dock to teach kids about Jesus. But an original idea in the hands of a dozen churches in the same town doesn’t raise eyebrows. Find or write your own curriculum that is not being used by anyone else in town! If people without faith walk into our “fruits of the Spirit” themed VBS, is it going to make sense to them. Do they know who the Spirit is? Sometimes to be able to have a voice in people’s lives, we need to talk less specifics and more broadly to meet them where they are at. I have taught some really great lessons that assumed the kids already knew parts of the Bible and that they would be able to get it even though I was using “churchy” words. Think music and atmosphere on this one. When people walk in, are they going to feel at home? Much of the music written for VBS program has a style that would ONLY be heard at a VBS. Is is possible to use music that sounds a bit more like stuff they were listening to on the radio? When they walk in the doors, is the place decorated like a museum they would visit on the weekend or a Bible Times Marketplace that they would never normally set foot in. Bible Times Marketplaces are great for adding cultural background for people who are already bought into the message of the Bible. For people who question it’s authority, the atmosphere needs to look more familiar. I certainly do not have all this figured out. Simply working through some of this openly with this community. I appreciate your thoughts. Blessings.